We understand the need for your business to provide a comfortable indoor environment for your employees and your customers. We can provide systems, services and solutions which will deliver substantial savings in HVAC utility costs for your business. 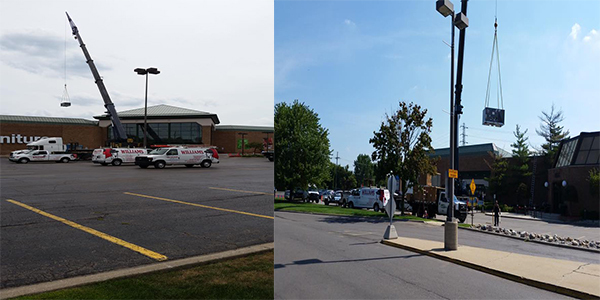 Williams Refrigeration and Heating has been providing commercial installations of the newest and most energy efficient HVAC systems available, routine maintenance of HVAC systems, and fast expert HVAC repair since 1937. Williams Refrigeration and Heating performs routine maintenance, repairs and new installations of HVAC and VRF systems custom tailored to your needs and budget requirements. Williams Refrigeration and Heating services commercial furnaces, boilers and air conditioning units. 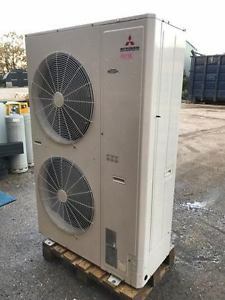 Williams Refrigeration and Heating also services and installs packaged units, rooftop units and repairs all brands and makes of commercial heating and air conditioning equipment. VRF is an heating and air conditioning system that delivers just the right amount of heating and cooling to every space, using the bare minimum of energy. The VRF systems can simultaneously heat and cool separate spaces ( zones) in the same building. The VRF systems provide vast energy savings due to being ductless and using a variable speed compressor which only supplies the comfort level needed to each zone. VRF systems can provide more building design flexibility, which results in more usable space. VRF heating and air conditioning is the best solution for medium to large applications, including hotels, retail spaces, larger offices, data centers and mixed-use buildings. VRF systems are extremely efficient, easy to control and reliable, capable of meeting small to larger building's full heating and cooling needs.